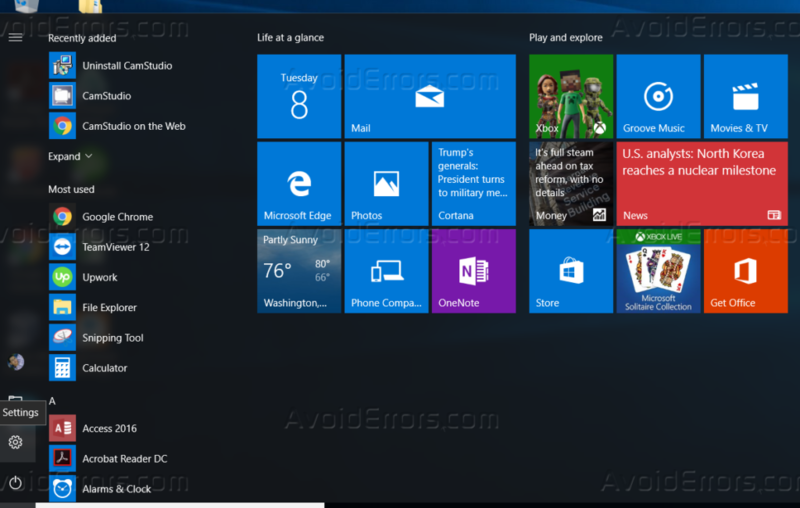 This guide will explain how you can stop Windows 10 from starting your application automatically in the background, Windows 10 comes with a lot of built-in application that it’s running by default in the background, these applications are set to automatically update, and that will cause a battery usage and also a lot of network traffic, in this tutorial I am going to explain step by step how you can prevent Windows 10 applications from running in the background, follow the below steps to guarantee a successful result. 1. 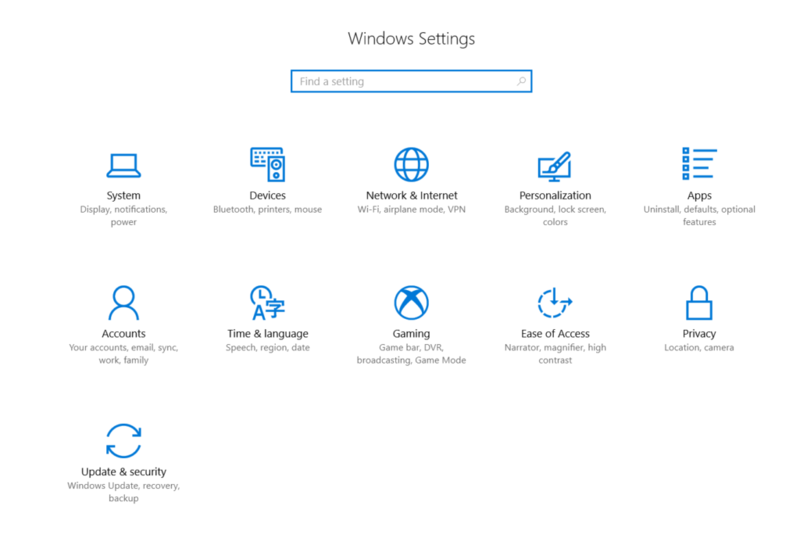 Open Windows Settings, from the start menu, just like the below screenshot. 2. 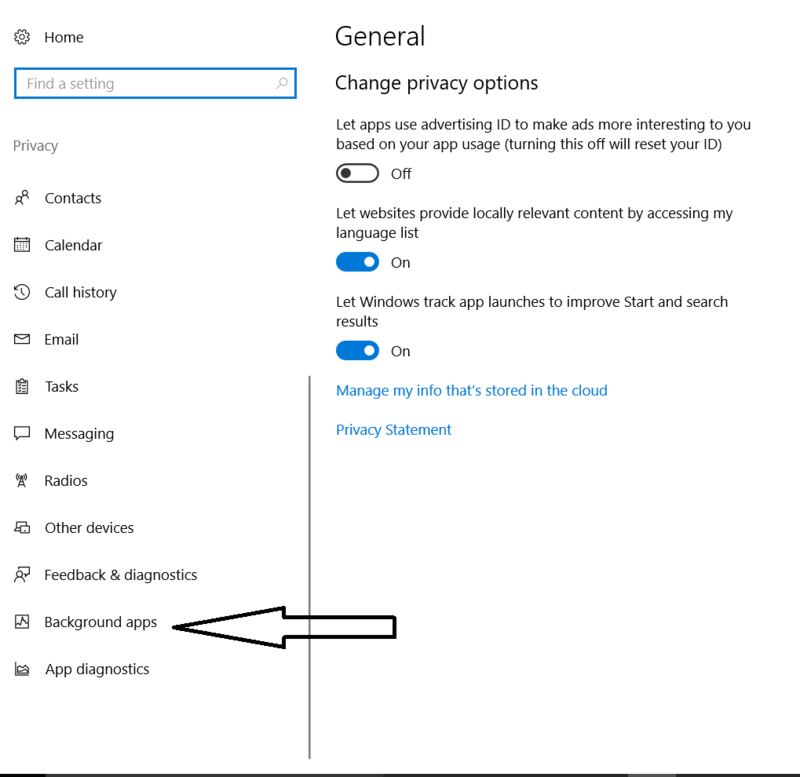 Click on “Privacy” from the settings icons. 3. From the left side, scroll down till the end then click on “Background Apps”. 4. 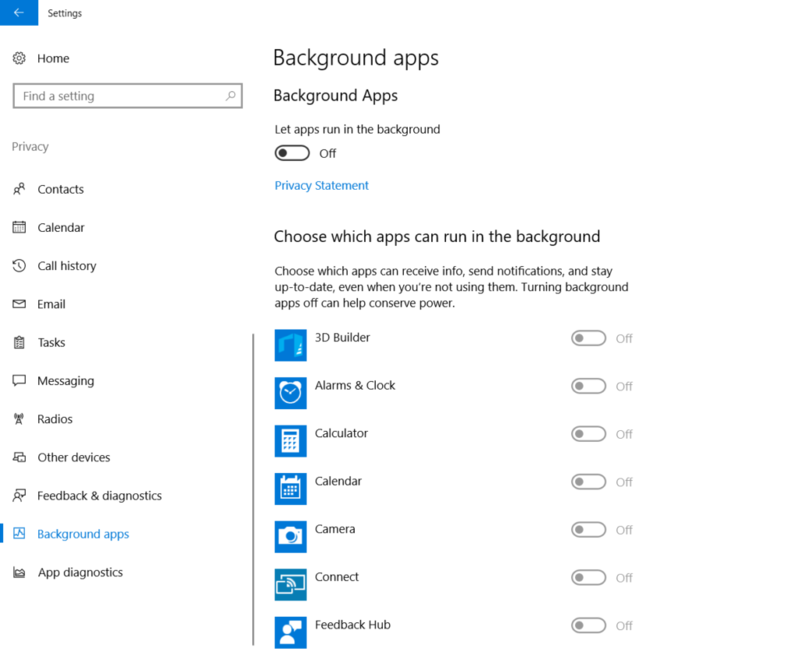 You can prevent all application from running in the background, or you can select which app runs in the background and which not to run. 1. 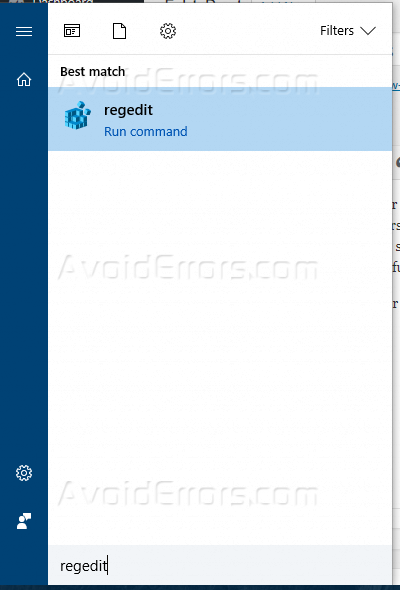 Press Windows key + R, and then type “regedit” and hit enter, or you can search for it from the start menu just like the below screenshot. 2. Navigate to the below path. 3. 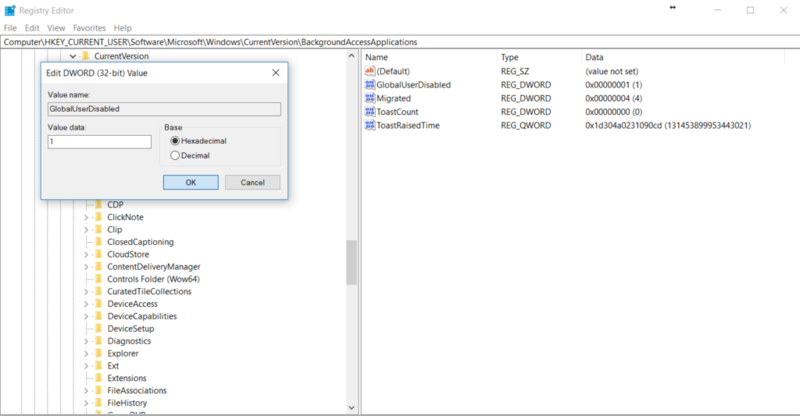 Double click on “BackgroundAccessApplications” and set its value to “1”, and then press Ok, just like the below screenshot. 4. 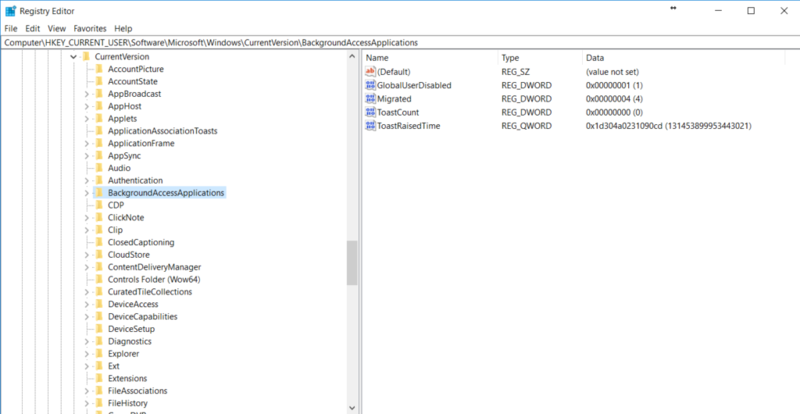 Close the registry editor after you are done, and then restart your computer so changes can take effect.